It's my favourite time of year; Christmas which means the gift guides are back. 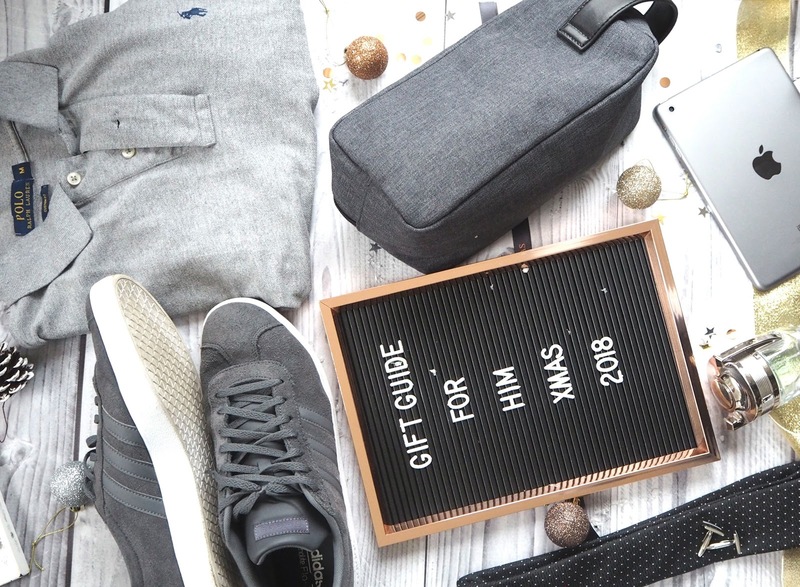 Today's gift guide is for the men in your life. I buy gifts for my dad, boyfriend and brother for Christmas but every year I struggle to know what to buy. I've been very organised this year and done most of my shopping ahead of time to try and make the bank balance feel that little less damaged as we get closer to Christmas. 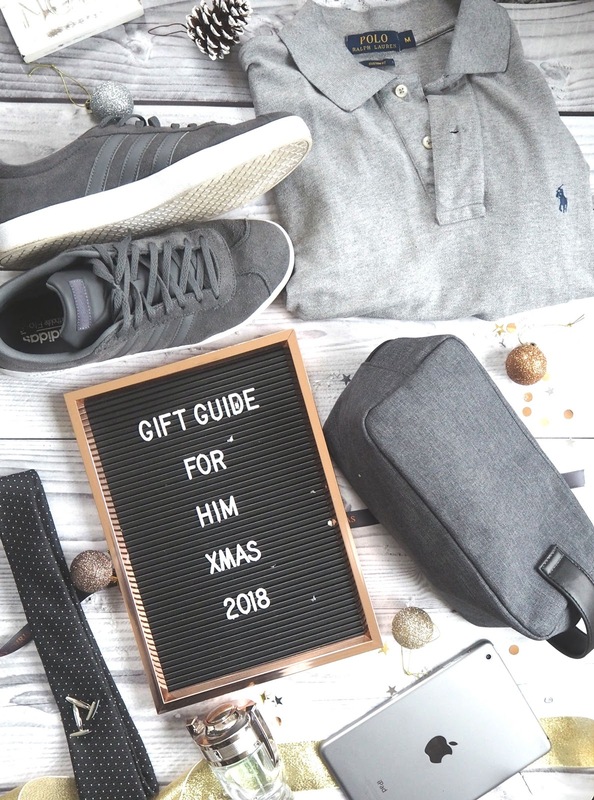 In this gift guide I've got something for the men who love tech, the sports lover and the avid drinkers! There is something for everyone so keep reading to help inspire you! A designer gift is a great way to make a statement. I love TK Maxx for a designer bargain, or better still, get yourself down to a designer outlet like Cheshire Oaks or Bicester Village! My Boyfriend Jay loves Ralph Lauren shirts but obviously we can't afford to buy them all the time, so it's nice to get him one every year and it's become a sort of tradition. We also love the Ralph Lauren t-shirts too! You can't go wrong with a pair of trainers for the men in your life. I often buy my brother or boyfriend a new pair of trainers. Adidas trainers seem to be the star of the show for casual trainers that the men can wear on a night out. These grey Adidas trainers not only look great but they go with a lot too; black or blue jeans on a night out or with a casual outfit. They are understated but not your plain normal black colour either. You can often find some great deals on trainers too so make sure you shop around and use your student discount if you have it! If you're looking for a gift for your dad or uncle then a tie and cufflink set is a great idea. You can tailor it to their individual preferences too to make it that bit more personalised. My dad loves lairy prints so every year I get him either a flamboyant shirt for Glastonbury or a floral tie to spice up his work wardrobe! 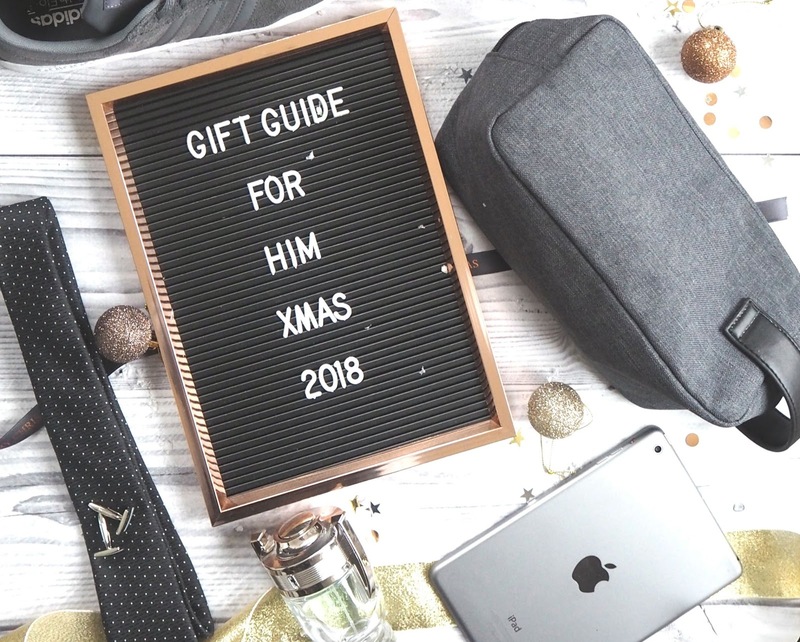 I love this understated skinny polka dot tie and personalised cufflinks set, it's such a thoughtful gift and one I know my Dad would love. Well, you can't go wrong with a bit of aftershave can you? Every year I get my boyfriend, dad or brother some! It's an easy gift to buy but one that they will certainly benefit from as they last so long! This Paco Rabanne Invictus smells amazing and is only around £35 for 100ml! It's also a great idea to get a gift set too. For as little as £5 more you can get the body wash too. I use my IPAD Mini ALL the time. I like to watch Netflix or YouTube, write blog posts, browse social media or play music on it. It's so versatile and I take it everywhere with me! I think this is such a good present if you're willing to splash out a bit more on a Christmas present and is a great one for the men and women in your lives. There are many variations of the IPAD these days; the mini, the pro, rose gold, silver ... the choices are endless! Every single year, my brother gets a Lynx gift set or some deodorant! You'd think we're trying to tell him something wouldn't you? He literally has a whole basket full of them but every year we get him more, just for the fun of it!!! Anyway, I think a lovely gift for men is a nice new toiletry bag - particularly if they travel a lot, it will come in very handy! I like to buy a nice bag and then fill it with various goodies such as a new Razor, some moisturiser, maybe put the aftershave in there too and of course a Lynx deodorant! You can't go wrong!